It's never too hot to eat cake. Bake your way through the season with these 11 summer favorites. If I had may way, I would always have a cake stashed away in my kitchen, just in case: in case someone dropped by unexpectedly; in case someone wanted cake for breakfast; in case fruit for dessert just wouldn’t do. Here are eleven go-to cakes you can make all summer long—from fancy to homey, chocolatey to coconutty to fruity, cakes for birthdays, anniversaries, lazy picnics and Sunday brunches. Best of all, they're make-ahead, so you can be at the ready... just in case. 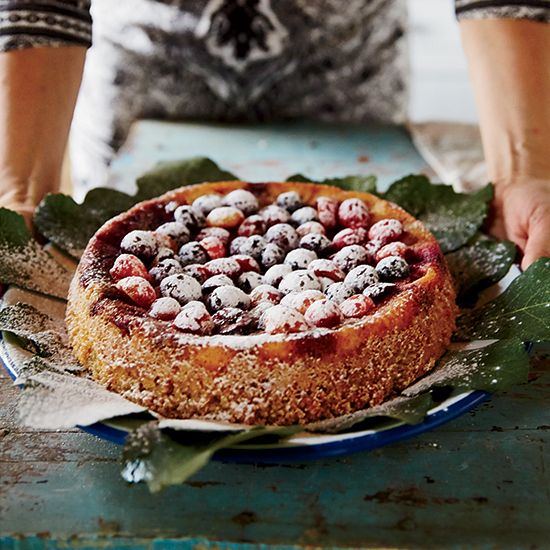 This is light, handsome, gluten-free, berry-topped cake comes together in minutes, and it's as good for breakfast, brunch or tea as it is for dessert—especially when served with a dollop of lightly sweetened whipped cream. I've also topped the plain cake with a chocolate glaze and fresh raspberries for a gluten-free birthday cake. 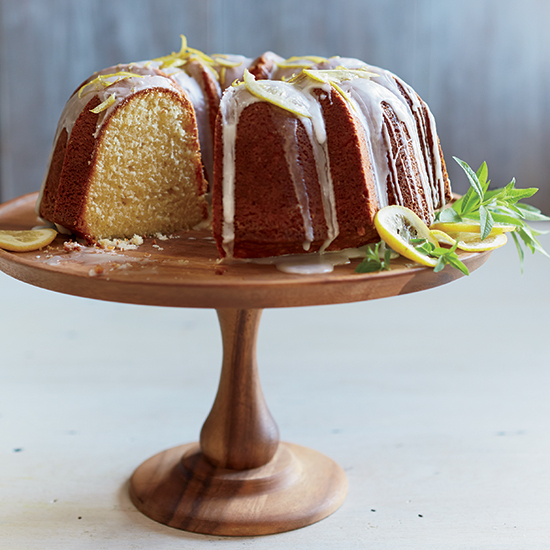 Like a light lemon poundcake, this bundt has a lovely, buttery flavor—but the oil in the batter gives it a fantastic light crumb. The glaze also gives it an old-timey look. It's the perfect bring-along for a summer picnic or barbecue. Here is Ina Garten's favorite chocolate cake! 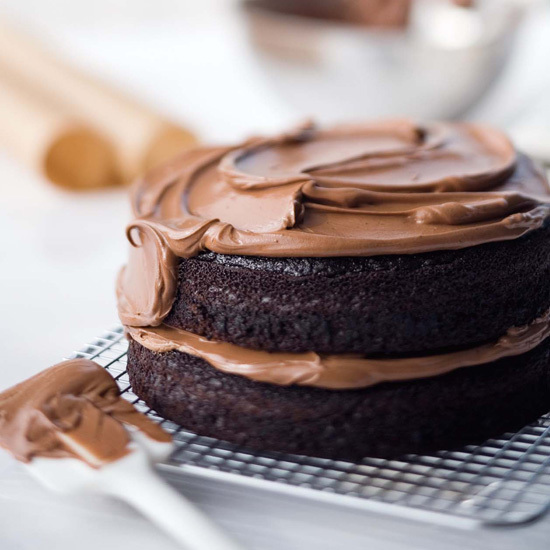 When you think of a classic chocolate layer cake, with tender layers and silky, super chocolatey frosting, this is it. It's become our go-to cake for all festive occasions—we've made it so many times we've lost count. 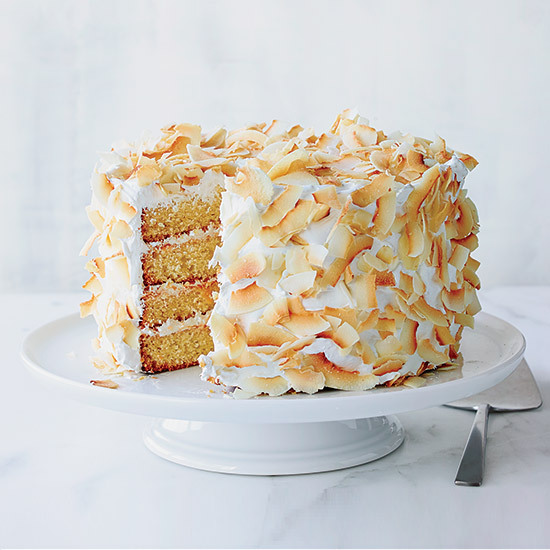 The coconut in coconut cake is often only on the outside, but in this case lots of toasted coconut is folded right into the cake batter for maximum flavor. The layers are spread with orange marmalade before they're frosted, but you could just as well spread them with lemon curd or coconut or raspberry jam. 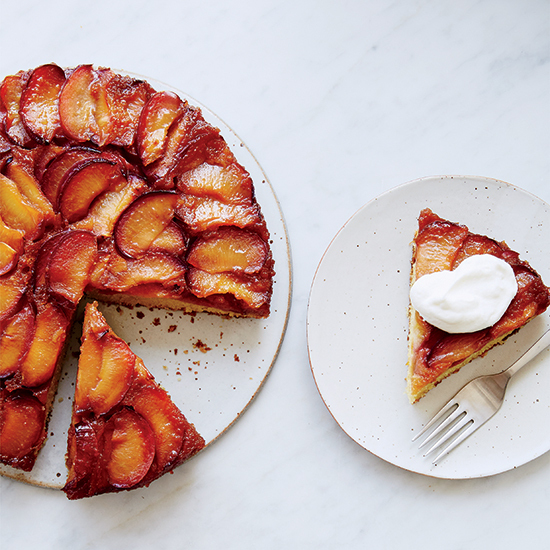 The rich crème fraiche-laced batter for this lovely cake is the perfect foil for the tangy caramelized fruit on top. Serve the cake with vanilla or almond ice cream for dessert, or just with a dollop of crème fraiche for breakfast or brunch. 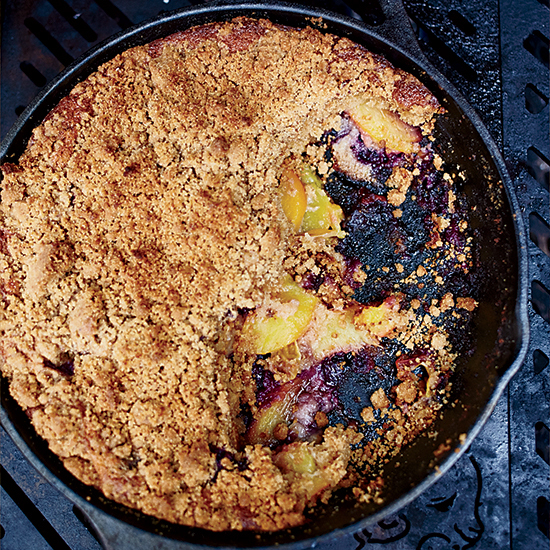 You can make this tall, coffee cake-like skillet cake all summer long, rotating the fruits as they come into season. Nectarines, plums, apricots, cherries and all manner of berries, as well as rhubarb, would be great. Chicago chef Stephanie Izard bakes this on her grill, but you can also bake it I a 300° oven. 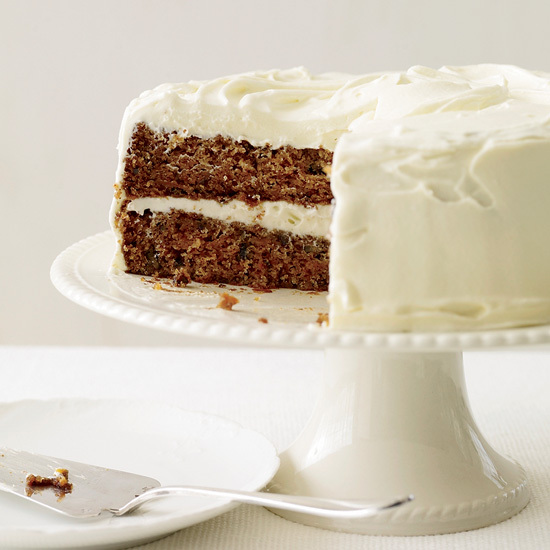 This is the luncheonette-of-yore carrot cake, and it's straight-up perfect—super moist and topped with generous slathers of sweet and tangy cream cheese frosting. It's totally customizable if you want to own it: You can add raisins, swap walnuts for the pecans, even add a bit of diced pineapple if you're so inclined. You can bake it in a 9-by-13-inch pan to make a sheet cake to carry with you in the car if you're taking it on the road. 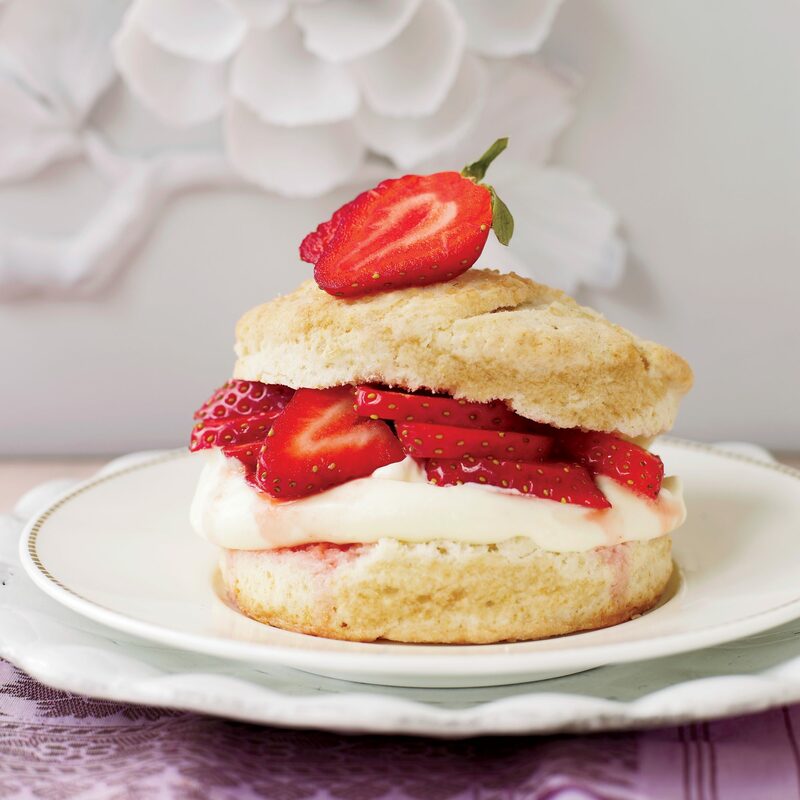 With the first strawberries showing up at farmers' markets right now up North, there's no better time to showcase them in a shortcake. This version flatters the berries with aromatic Meyer lemon cream. If you can't find Meyer lemons, regular lemons would be fine too, and if you don't feel up to making the curd that goes into the cream, you can certainly swap in prepared curd from a jar. 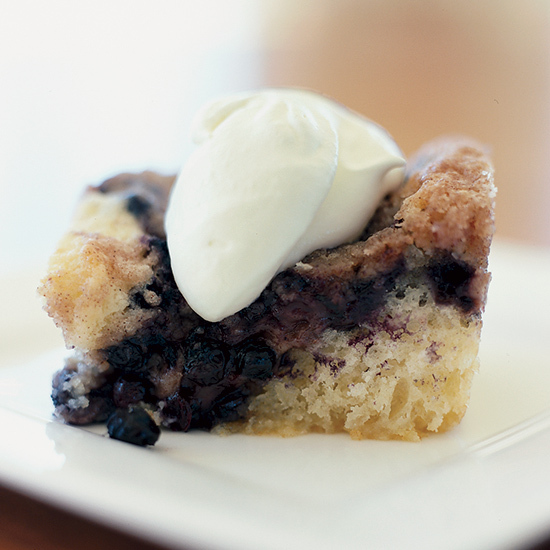 This is a quintessential summer breakfast treat, with tender cake, tons of blueberries that sink into the batter and a lush cinnamon streusel topping. If there's any left over, a simple scoop of vanilla or butter pecan ice cream turns it into a perfect summer dessert. Clafoutis (pronounced clah-foo-TEE) is barely a cake, though this one is made with a flour, egg and ground almond batter. 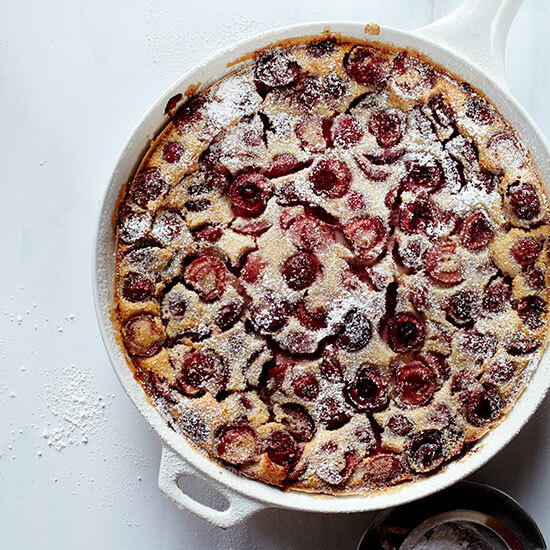 We couldn't resist including it here as it's one of our very favorite things to make with fresh cherries, which are all over the markets right now. 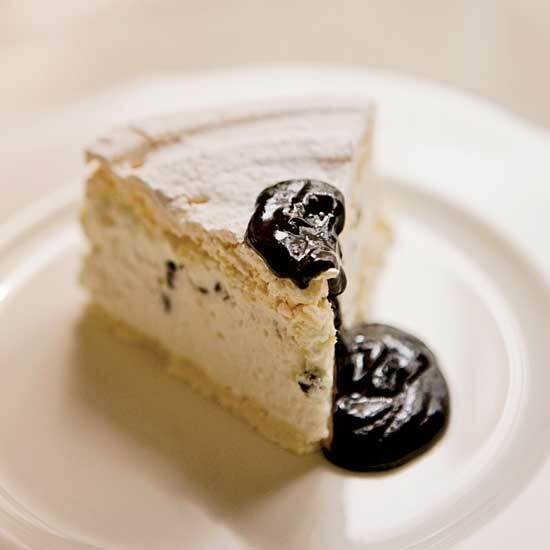 To make it even more flavorful--you can leave the pits in the cherries--just be sure to warn your guests. 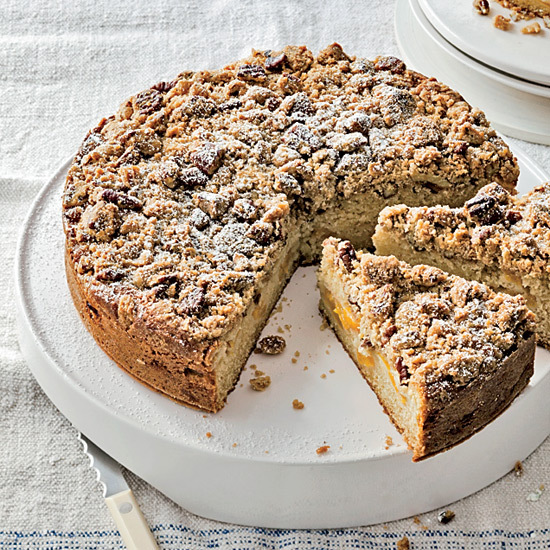 We love to make this simple cinnamon streusel-topped coffee cake all year round, but you should definitely swap fresh peaches, nectarines, plums or apricots for the frozen peaches called for in the recipe. It's especially delicious if you pop it in the oven to warm it up before serving.